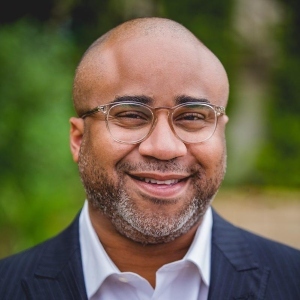 Albert Tate is the founding pastor of Fellowship Church, one of the fastest-growing multiethnic churches in the United States. He began in ministry pastoring just a few families at Sweet Home Church in Mississippi before serving the historic Lake Avenue Church in Pasadena, California. Hearing the call from God to plant a church, Albert and his wife, LaRosa, launched Fellowship Monrovia in January 2012. In its short history, this Gospel-centered, multiethnic, intergenerational church has already established a solid foothold in the region for life transformation to the glory and honor of Christ. As a dynamic communicator, Tate is passionate about sharing the Gospel of Jesus Christ with the local Church and the global community. Blending the power of storytelling with a good sense of humor, Tate enjoys illustrating God’s amazing grace and love in church, academic, and conference settings. Albert and LaRosa have four beautiful children. He serves on the boards of Azusa Pacific University, the Museum of the Bible in Washington, DC, and global church planting organization Stadia. He was recently published in Letters to a Birmingham Jail: A Response to the Words and Dreams of Dr. Martin Luther King, Jr. (Moody Publishers, 2014) and in 2018 launched the Albert Tate Podcast.